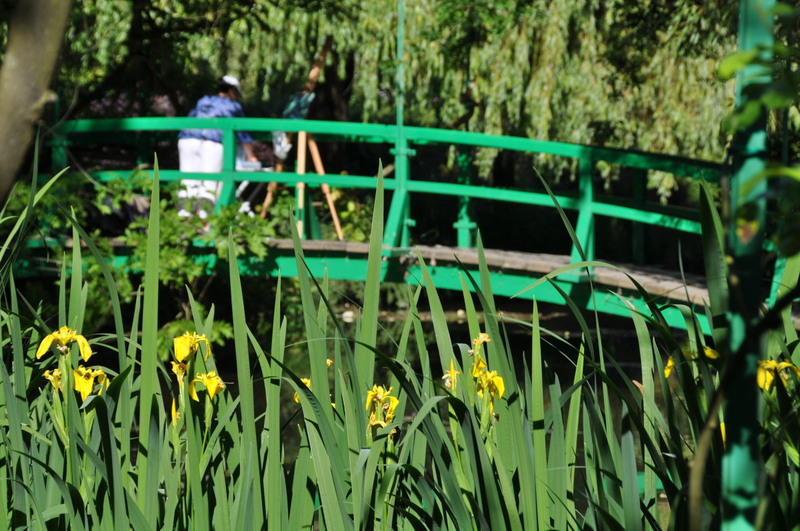 It is many painters’ dream to be able to stay in Monet’s garden to paint. If your medium is watercolor, pencils, ink… no problem. Just sit down on a bench (preferably) and paint. But if you use acrylic, for instance, and need an easel therefore, you must ask for allowance. 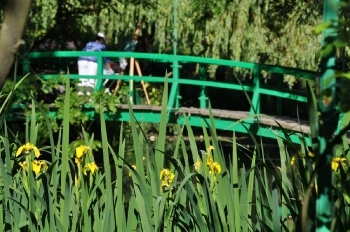 Please get in touch with Fondation Monet. If there aren’t too many requests for the day you wish, you will be granted the privilege of staying in the gardens after closing time. This is the best way to feel just like Monet, almost alone on the grounds. Same vibrations, same inspiration. Have a great time!